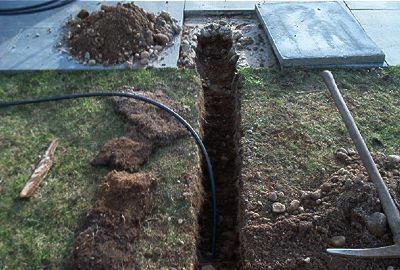 Trenching of the electric cable is almost completed, but we struck stone underneath the paving slabs (hence the pick axe)! 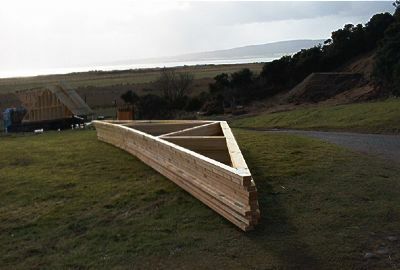 Trusses arrive and are stored on the neighbour's lawn! The kit arrived at 7.30 a.m. today. 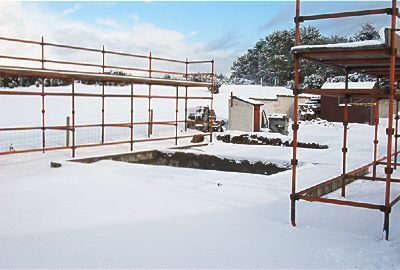 Unfortunately the snow beat it by 24 hours and so far we have about 4 inches covering the site! 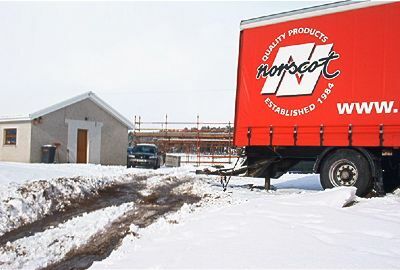 However, after a lot of shovelling and gritting (not to mention slipping & sliding) the driver left the trailer on the neighbour's lawn - again! 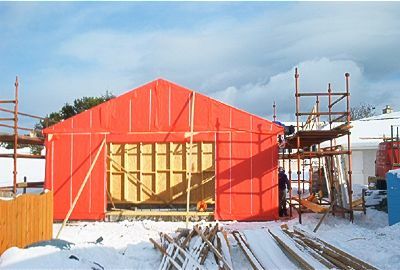 Despite more snow overnight (about 6 inches now) the Norscot team arrived from Caithness early this morning and started work on the timber frame kit. 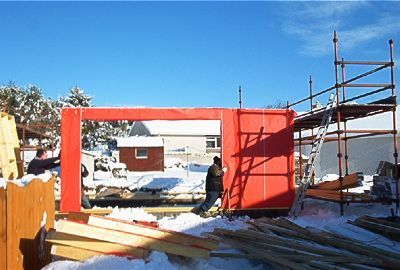 By the end of the day all the external walls of the kit were in place. A great days work! 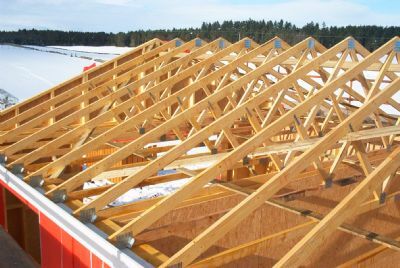 Roll on tomorrow when, hopefully, the roof trusses will go up. Yet more snow but a 7 a.m. start with our shovels enabled the trailer to be collected and the guys make good progress again. 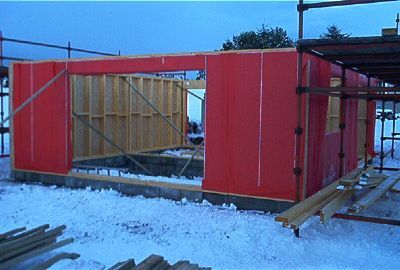 At the end of the week the internal wall and roof trusses are in place and the facia boards have been started.